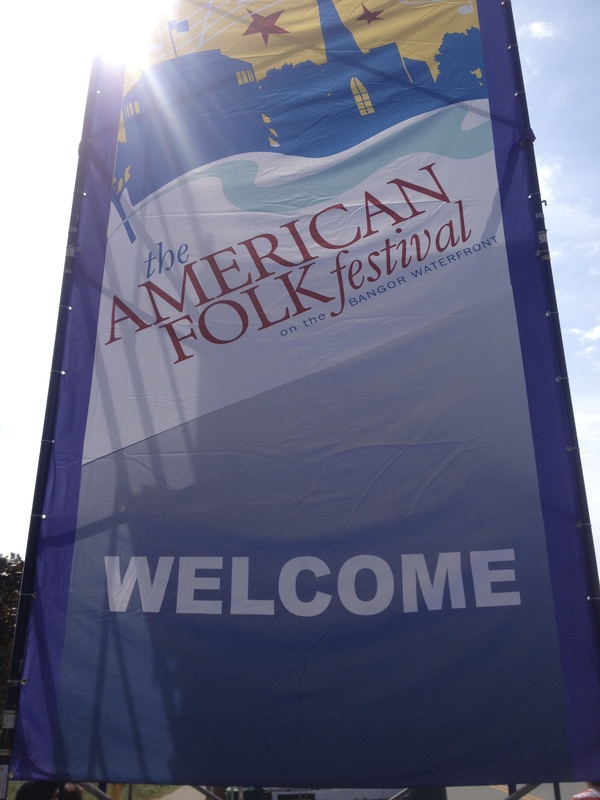 Close to 100,000 people will be attending American Folk Festival this weekend on the Waterfront in Bangor, Maine. My husband and I will be volunteering for the 5th year in a row at the dance tent and collecting donations from festival goers. Without help from more than 700 volunteers, this wonderful event that brings performers and artists to Maine from around the world to share their talents would not be possible. I am honored to play a small role in helping to make my community a better place. I have been volunteering ever since I can remember. When I was a teenager I coached in youth sports leagues, and later when my children were young, I helped with their teams. I have participated on committees to bring a high school to our small town in California, to develop a local park, and to coordinate monthly luncheons to foster culture exchange here in Maine. In my church I have served as everything from youth group leader to parish president. I have also been active as a literacy volunteer and an English language conversation partner at the university. But I can honestly say, I feel like I get as much out of these volunteer opportunities as the organizations or people that I have been helping. More than just the satisfaction of knowing I am able to help, it provides a sense of community. It reminds me that I have a responsibility to contribute the success of that community. I have met many wonderful people through my volunteer activities and some have become lifelong friends. I have learned to be more patient. I have learned organizational and communication skills that have helped me both in my professional and my personal life. I have gained confidence. Volunteer a little of your time, and in return your life will be richer for the experience. This entry was tagged American Folk Festival, Bangor Maine, Sense of community, Volunteering. Bookmark the permalink.